» Congress takes time off — good! Congress takes time off — good! 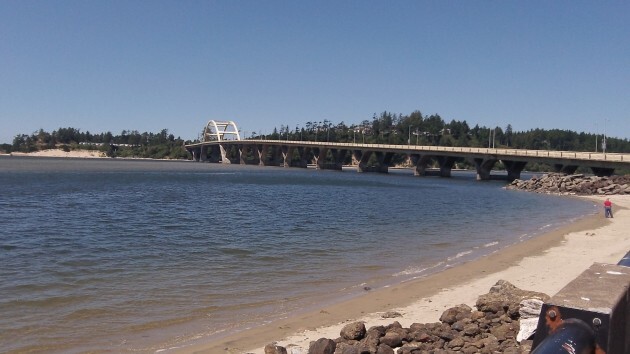 The view across Alsea Bay is not the only thing unaffected by whether Congress is in session. Congress is off on a five-week vacation, and the talking heads on cable are complaining. They are wrong to complain. It’s good thing when Congress is not in session. Congress could stay on vacation for the rest of the year, and the country would be no worse off. President Obama keeps making speeches blaming Congress for not doing anything. He is wrong too. Congress is not doing nothing when it is not doing anything. What it is doing is blocking bad legislation. That is the most important job that any legislature has. Congress has often failed in that regard, passing laws it should have blocked — or at least read or considered their consequences before passing them. As a result, the United States has no shortage of laws. We have federal laws for everything, to the point where citizens can hardly make a move without running into a bunch of them. So a period of time without the possibility of Congress passing new laws, let alone new programs, sounds exactly like what we need. Five weeks is nice but not nearly long enough. A year or two might be better. That would allow citizens to realize that it’s not natural or necessary for lawmakers to be in session most of the time. Here’s another thing about which the talking heads are confused when Congress is the subject of their talk. They keep telling us that only a small minority — 13 percent in the latest polls — approve of the job Congress has been doing. If that were true, it would be rare that members of Congress are re-elected. But in fact, most of them are re-elected time after time. Excellent point Hasso! We should never forget the admonition of Will Rogers who said something to the effect that no one’s life or property is safe when the legislature is in session. A case in point illustrating this issue is the so-called “War on Poverty” declared by LBJ in 1965 (or thereabouts). After nearly 50 years the problem is as prevalent as ever, in spite of expending trillions of dollars and countless hours of activity. But we continue to throw money at the problem in the same way with the same programs – and with the same lack of results. How can we go about declaring the war won (or lost?) and ending it? Clearly, good intentions count for naught. Results are what matter. But with liberals, good intentions are the only measure and so these government efforts, once begun, are seemingly never-ending. And the cost goes up, and our liberties decline with each. There might be a clue in here for even some local programs (URD’s, CARA, public employee unions, etc.). Waay too easy of a target! Good intentions DO matter. They always have and always will. Ignoring a problem and/or suffering is 100% unconscionable. That the results are not what were originally envisioned (or maybe they are but not to your liking) is irrelevent. And doing nothing is flat out wrong. I strongly believe that if Legislators don’t (or won’t), then the Executive should. And if that doesn’t pass muster – then SCOTUS steps in. I cannot think of a better system of government. Period! Albany, Lebanon, and *many many* other communities in Oregon (and USA) are incredibly better off thanks to URDs of which you complain. I am very proud to be part of that process.